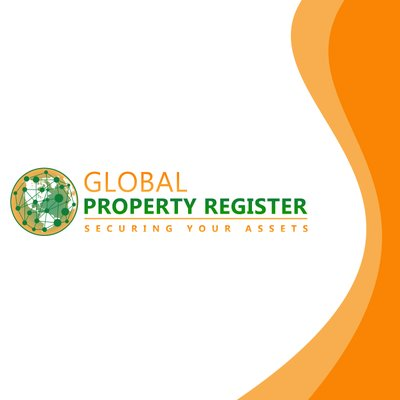 The Global Property Register (GPR) is the FIRST universal real estate register that will be global, covering developed and developing countries. This will provide proof of ownership for more than 4.5 billion people (valued at $ 20trn) worldwide that are not currently covered and therefore cut off from the real estate and financial markets. Second, besides providing global property exchanges. This platform will function as an international digital real estate market for all market participants. Third, analytical solutions and tools supported by artificial intelligence will be given to property owners that enable them to make wise decisions and projections. Finally, to educate the public, social networking for platform users will be created. Real estate, in particular, is one of the most stable forms of investment, and it represents a small risk as a means of investment. The total value of development in the world is more than 228 trillion US dollars, which exceeds the total number of traded shares and securitization debt instruments in the world, and in 2016 the global transaction volume reached around 661 billion US dollars. By maintaining a consistent record of ownership, expense and transfer, the blockchain can provide certain information that provides a higher level of trust and transparency. This can allow each property to have its own numeric address, where all information related to the object can be stored. This will include financial information, rent, taxes, bills, promises, comfort, building performance, physical characteristics, and a history of transactions related to property, which potentially eliminates the need for in-depth and expensive name searches. It is important to note that all information about the level of property can be encrypted in such a way that only those who, with the permission of the property owner (or creditor agent, in the case of a mortgage loan), can obtain access. Prevention of fraud – all transactions that occur on the blockchain platform will be cryptographically signed and verified. Using a timestamp with a consistent mechanism on the blockchain prevents multiple bookings / sales of the same property unit, which is a common problem when properties are registered by different brokers. A world where every homeowner can use the value of his property (house or land) Property documents are safe and easily accessible. Fraud of land and property has been eliminated, especially in developing countries in Africa, Asia and South America. Our expertise lies in providing the best and reliable blockchain based real estate products. Our experts comprehend the divergent requirements of clients and strive to provide them with the most effective solutions. So that XRX is providing following Products. Social Platform for property owners. Token reward system. Blockchain register for property ownership – Token reward. Artificial intelligence for property owners. XRX Wallet will be an investor’s all-inclusive wallet for all financial transactions. Our wallet Integrated into the account of each user. November 2016: Global Property Register team and concept established. Dec 2016 – May 2017: Proof of concept development. December 2017: Business Model & Whitepaper development. June 2018: Work commenced on the development of MVP. February 2019: The global roadshow for marketing. October 2019: USA , UK , Nigeria.